Bought this heavily discounted after my b-agile was left out in the rain and got moldy.. I have to say Iâ€™m pleasantly surprised. It handles well, folds easily and both my 3 and 7 year old can sit it in. We mainly use it at Disney. The main drawbacks are it being a bit heavy and the basket is a little hard to access but my kids are bigger so this isnâ€™t a huge deal for me as itâ€™s more of a â€œweekendâ€ stroller for us. If my kids were smaller it may be more of an issue. 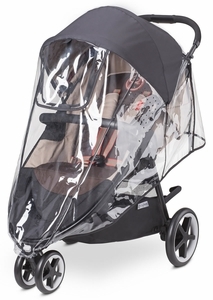 I have been looking for a lightweight, every day stroller, that has compatibility with Nuna Pipa car seat. and possibility of adding a ride on board for my 3 year old. 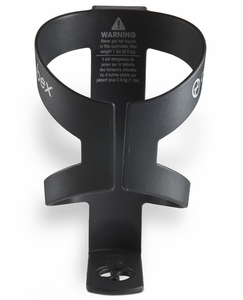 Looked at a lot of other Cybex strollers, but did not want to spend $300+. When I saw this I was hopeful it woud fit our needs. Arrived quickly, and upon opening was immediately surprised at how big it seemed! Relatively lightweight, but much wider than anticipated. I have small children, so a wide seat is actually not an advantage - was hoping for somthing with a slimmer profile. Also the back of the frame does not look like it has potential to attach a ride on board, but I have not yet tried. 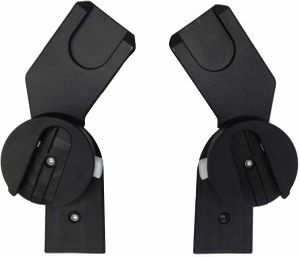 Car seat adapters are sold seperately, which is annoying. Overall nice stroller and good quality (expected from Cybex), but unfortunately don't think it is going to fit our needs as hoped. -It is very compact - we drive a 2015 Subaru Crosstrek, and it fits folded in the trunk very well, with enough room for luggage or groceries in the trunk space. -It has foam-filled tires - we live in an area with a plant called goatheads that pop rubber tires easily. With these tires, I don't have to worry about getting a flat while we are out and about! -It is very easy to maneuver - I can easily push this stroller one-handed, and my husband even takes it for runs with our 3 year old in it! He said it was extremely easy to push and run. -The seat is long - we have a tall 3 year old, and he fits great in the stroller. I also like that the seat reclines a lot, so if needed, my newborn could lay in it too. The only con I've found is that the basket is small and is a little hard to access, but the pros outweigh this. Overall, this stroller is awesome! I wish I would've known about it before I got the other strollers I have (a stokke trailz and a bugaboo chameleon) - it is much better suited for our needs! 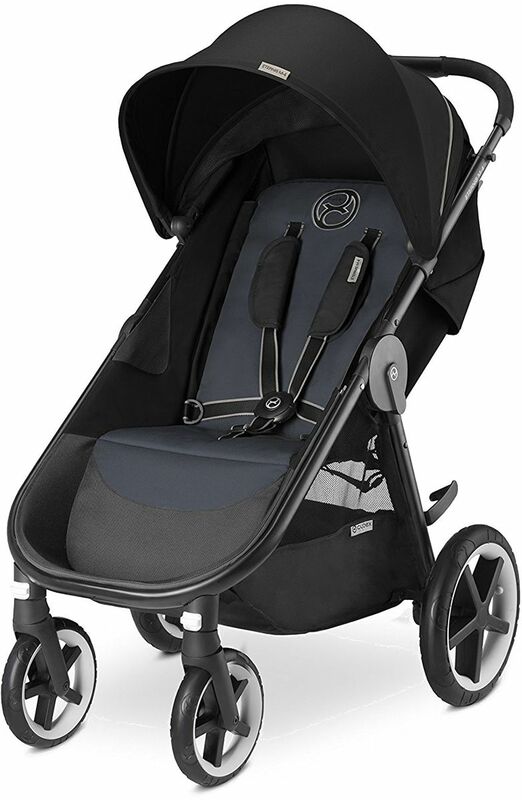 *Great price for the stroller size and quality. Offering ease of use, soft suspension plus big, never-flat wheels, the Cybex Eternis M4 is a versatile and comfortable premium single stroller designed to let you and your child conquer any urban terrain with elegance and style.